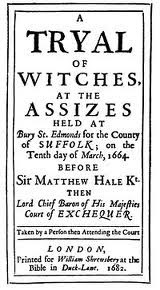 We recently discussed the Basque Witch Trials, occurring at the beginning of the 17th Century, and have previously discussed various other instances where Practitioners have been persecuted for their spiritual beliefs. These include the Salem Witch trials, the early Spanish Inquisition, and the Burning Times in general. Today, we will delve into one of the most devastating witch trials in human history, known as the Bamberg Witch Trials. The Bamberg Witch Trials occupy a very important place in history, especially during a period of extreme religious discrimination and witch ‘hunting.’ However, the significance of this event is too often overlooked because it occurred around the same time as many other witch trials – just years after the Basque Witch Trials, the same time as the Wurzburg Witch Trials, and only decades before the Salem Witch Trials. But unlike the Basque Trials, which ended without punishment to any despite over 7,000 interrogations and 11,000 pages of supporting documentation, and the Salem Trials, in which nineteen innocent individuals were found to have been Practitioners, the trials in Bamberg resulted in the execution of 300-600 individuals, most of whom had no connection whatsoever with the Craft. The death total covers such a wide range because while there exists evidence of at least 300 executions, there were another 300 individuals who were never declared dead, but were nonetheless never seen again. As a brief background, the territory that is Germany today was once an assortment of kingdoms, or states, some large and others small. Each state had its own policy towards religious tolerance, and while some were relatively liberal, most came down extremely hard upon those who did not adhere to specific religious guidelines. In the 1620’s and 30’s the state of Bamberg, in what is now central Germany, was ruled by an individual named Prince-Bishop Gottfried Johann Georg II Fuchs von Dornheim. Dornheim was said to be an ill-tempered man who took advice from no one. Bamberg was constantly in civil strife, wars with other states (this whole event occurred during the epic Thirty Years War), and in the mid-1620’s Bamberg was experiencing severe droughts and epidemics, causing famine amongst the constituents. Rather than formulate a comprehensible plan for improving his kingdom, in an imprudent political move Dornheim, like his predecessors, decided to blame Practitioners of the Craft for all of Bamberg’s problems. He immediately ordered the construction of the Drudenhaus, or Witch Prison, and hired torturers and executioners to work within. Though the subsequent events have been referred to as ‘trials,’ they were more like unchallenged sentences. Accusations were made in private (insomuch as many scholars believed that, similar to the Salem Trials, Dornheim would simply name an individual he did not like and report that this individual had been accused of practicing the Craft), and those accused were afforded no legal rights. These individuals were immediately arrested and taken to the prison. There is no need to go into great detail into this matter, but some of the most inhumane torturing occurred at Bamberg’s Drudenhaus. Not only was an accused individual’s property taken from them, but they were subjected to extreme physical cruelty, such as having their limbs put in vices or cut off, were thrown in tubs of scalding lime, and were made to sleep in stocks filled with metal spikes. Children were subjected to this treatment as well as adults, and any individual who questioned Dornheim about his policies. Needless to say, many of those accused confessed to a crime they did not commit simply to end this torture. This persecution persisted for nearly five years between 1626 and 1631, then upon the death of Dornheim in early 1632 his activity became exposed and the Emperor of the Holy Roman Empire put an end to this madness – but not without leaving its mark. Though the Bamberg Trials might not be as well known as others, many scholars cite this as the worst period of physical torture of witches in human history. What do you think about all this? Is there any chance that history can repeat itself? Let us know what you think! Please feel free to share your thoughts on our Facebook page at: http://www.facebook.com/7witchescoven.